An Electric Bike Oh Yeah! We have 11 e-bikes in our fleet. 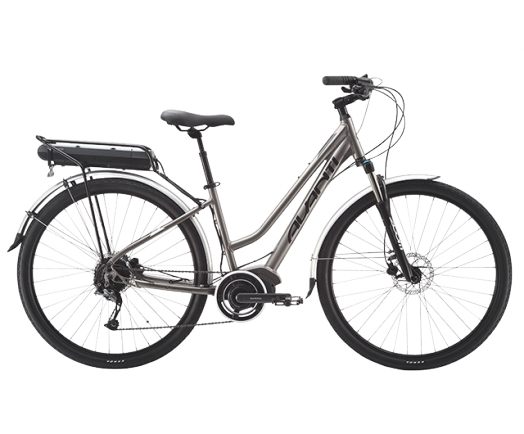 Erica, Ernie, Elton & Electra are stylish silver Avanti Discovery bikes with electronic assist. They have recently been joined by Elrose, a beautiful low step Avanti Metro e-bike. Earl, Eric, Elsie, Elvira & Edith are beautiful Lekkie bikes. All new, they are the latest in electronic assist bikes available with an economy range up to 93km. You still have to pedal but you can dial Erica & friends up to give just a little or a whole lot of assistance. Perfect for those not feeling confident of keeping up with their companions or just wishing to ride a little further than they might otherwise. A date with our e-bikes is $80. * Unless otherwise arranged, a full day for Erica & friends is during our opening hours. Please note that e-bikes can not be transported in or on your car - please talk to us about transport options should they be required. We have a minimum age of 16 for riders of our e-bikes to keep everyone safe.